Located in Charlotte, NC, Olde Meck (Mecklenburg Genealogical Society) was founded in 1981 by a small group of genealogists to unite folks who share the love of family history, to assist them in their genealogical research, and to preserve records of interest to family historians. We celebrate our location along the Great Wagon Road, a thouroughfare which brought so many of our Scots Irish ancestors to the region. 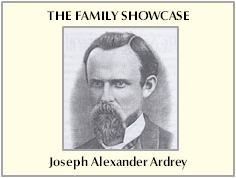 hosting monthly meetings, workshops, and events on a variety of family history and genealogical subjects. maintaining a research library (the Family Research Center) that is staffed by knowledgeable volunteers and provides access to books, special collections, online resources, and other valuable sources. collecting, organizing, and preserving genealogical materials, which are then made available to researchers through our library, our publications, and our website (www.oldemeck.org). If you’re getting started on your family research, want to enhance your research skills, or wish to share your expertise with others, we invite you to visit or contact us and join the Olde Meck genealogical community. To email the President, Programs Director, Membership Secretary, or Treasurer, just "mouse over" their names above.